Have you heard of #GivingTuesday? It's a global fundraising event that connects to the pre-holiday shopping season. How can we link volunteer recruitment to this campaign? And what does it teach us about the fine art of "piggybacking" as a recruitment tool that we can use in many different ways? Read this month's Hot Topic. It is important to acknowledge that the spirit of volunteerism is enhanced and enabled by the skilled people who lead them - you! -- and to say thank you. Energize is doing just that with our note below. 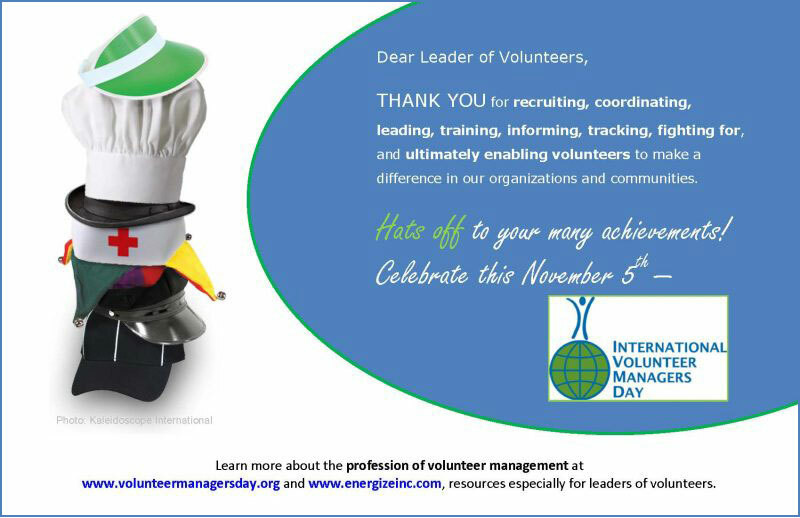 Feel free to copy and re-send it to the volunteer managers in your life. Check out the IVMDay Web site to learn more and get free resource materials and logos. 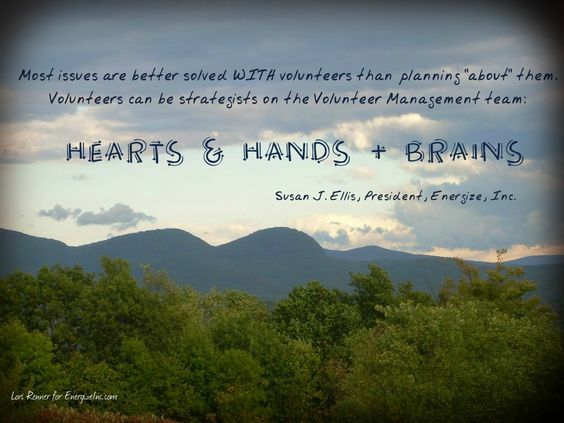 Working with Human Nature, Not Against It: Using Brain Science to Boost Volunteer Engagement - Tobi Johnson presents four well-researched brain phenomena that she argues can be strategically tapped to engage and sustain volunteer participation at your organization. 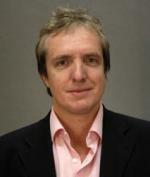 Developing a Distinctive Management Approach for Volunteers - Justin Davis Smith examines a Swiss research study on the need to treat volunteers as a unique group within an organization and not exactly like paid staff. Resources for the Boards of All-Volunteer Organizations - Faye C. Roberts finds online resources on board development helpful to all-volunteer associations, not just large institutional boards. Vol. XVII, Issue 1 will activate more great articles, including: a look at how volunteers engage with immigrants and refugees at every stage of their journey in a new country; a successful initiative in New Zealand that matches one volunteer to one person with intellectual disability and sends them out and about in their community; insights from neuroscience that can be applied to awesome training sessions; and more. 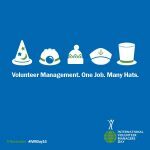 International Volunteer Managers Day is a great time to make sure we recognize everyone who leads volunteers in some way, no matter the person's title or pay. Our professional skills crop up everywhere. In our book, By the People: A History of Americans as Volunteers, Katie Campbell and I give a snapshot of our collective past. First we credit all the important community efforts led by volunteers themselves - still true today throughout the world. Then we look at leadership historically provided by individuals who would not have considered themselves "volunteer managers." The following is adapted from pages 336-8 in our book. Historically, doctors in the U.S. directed citizens in the provision of community medical care. Epidemic control, free clinics and dispensaries, vaccination campaigns, care of wounded soldiers, community ambulance corps - all required the supervision of physicians. The nursing profession actually began with volunteers assigned to assist doctors in providing patient care. As time went on and nurses became salaried, they in turn accepted responsibility for the supervision of patient support services by volunteers. By the very nature of their job, teachers were in a position to mobilize their students and often to influence the community at large. Therefore, there are countless examples of teachers who spearheaded community service projects as a way to teach active citizenship. Other efforts were done by entire schools, sometimes nationwide: neighborhood beautification campaigns; safety patrols; packages for CARE; and innumerable war-support drives. Charity was often left to faith communities, to be coordinated by the clergy. Institutions such as the Sunday school societies and the YMCA were developed with significant involvement of ministers and their congregants. During Reconstruction, parishes contributed money, supplies, and volunteers to provide education for freed slaves. Religious leaders also began the first fresh air funds, connecting rural congregations with needy urban children. In more recent times, clergy have guided their faith community members to participate in foreign relief efforts, civil rights movements, and other political advocacy for social issues. Military officers directed civilian volunteers, especially in times of crisis. In every war, beginning with the Revolution, spy and smuggling networks consisting of loyal citizens required the sanction and expertise of the military commanders. During wars fought on American soil, civilian support efforts to provide food, clothing, nursing, and some comforts were often coordinated by military personnel. Civil defense, homeland security, and anti-terrorism programs are a more recent example of volunteer energies guided by the military. Each branch of the armed forces today also has a program of community service wherever American men and women are stationed. Social workers (whose own profession grew out of "friendly visitor" volunteers in the late 1800s) today are in charge of a whole spectrum of supplementary client services performed by volunteers. Justice system staff also supervise diverse volunteer efforts, from probation and parole aides to prison tutors; this tradition goes all the way back to sheriffs organizing volunteer posses. Park and forest rangers provide necessary liaison and assistance to recreation, conservation, and ecology groups. For many paid staff in many fields, working with citizen advisory committees, commissions, student interns, and various advocacy groups puts them in the position of director of volunteers as part of their job. Paying someone specifically for the role of coordinating volunteers is actually not a totally modern phenomenon. Though frequently volunteers themselves, there were militia captains who drew a salary solely to recruit and lead volunteer soldiers. The first paid fire chiefs were usually the only firefighters to receive a salary and were expected to keep the volunteer company organized. One role rarely thought of as directing volunteers is that of a wagon train's master. Yet such leaders were hired by groups of inexperienced but willing families who needed the wagon master's knowledge and ability to help the group work together during the hard journey ahead. The personnel of the Freedman's Bureau were paid specifically to coordinate public and private relief programs after the Civil War, especially those run by volunteers. It also should be noted that every political campaign manager is actually a salaried director of volunteers. Since the 1960s, an increasing number of institutions and agencies have added a staff position for volunteer management to their organizational chart. Hospitals were among the first. Today, volunteer administrators work in courts, parks, counseling services, museums - anywhere a large corps of volunteers is needed. It is important to recognize that one can be a director of volunteer services regardless of whether the position is salaried or full-time. The position is defined instead by its function: managing volunteers... But volunteers who continue to provide leadership to other volunteers are managers in their own right and belong to the profession of volunteer administration as well. Happy IVMDay to all! History helps us understand the present. 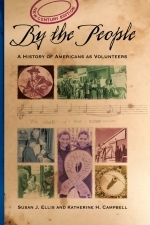 See By the People: A History of Americans as Volunteers in our bookstore. It has many examples that will resonate with colleagues outside the U.S., too.